Enough has been said about the merger between the Ghanaian and Nigerian sound since Mr Eazi introduced the Banku music to us. 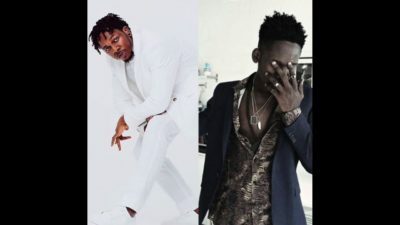 The singer who schooled in Ghana was recently quoted throwing shades at Nigerian artistes for using the ‘Mr Eazi formular’ in their sound. Eazi, in an interview with Capital Xtra fm claimed he started the movement and now 60% of Nigerian artistes are jumping on it. Well, ‘mad over you‘, Runtown after seeing Eazi’s interview tweeted what looks like a subtle reply to Mr Eazi’s claim.